The Book of Job reveals some Bible nuggets. Hundreds of years before scientific confirmation it talks about Big Bang, particles clustering together to form celestial bodies and even an expanding Universe. A bronze molten disc, a reflective surface, appears as a projection, since the book of Job 37:18 indicates ‘the sky is strong and as a molten looking glass’. There is a comparison between ‘strong’ and ‘molten’ ‘looking glass’. This is another Job-one-time-only-usage for the term ‘looking glass’, but has nothing to do with actual glass. The basic root is a ‘mirror’ or ‘something seen.’ There is no evidence that glass mirrors existed thousands of years B.C. and in all likelihood this is referring to shiny, highly polished metal, such as bronze, which would serve the same purpose. The King James Translators must’ve really struggled with the entire book of Job, let alone 37.18. When God talks about the creation of the heavens and earth there is a lot of unusual vocabulary. Without the scientific knowledge we have 400 years later it is certain that some words and concepts were head-scratchers. This was at the same time Galileo was proposing the Earth was not the center of the Universe, that it was revolving around the Sun–for which he was persecuted. Science and Religion were in turmoil–that hasn’t changed. Today science has established and proven certain facts and The Explanation in taking a fresh look at these Biblical Hebrew words in light of scientific facts. I want to help you with your own Bible study. Use the Bible Concordance at UnlockBibleMeaning.com, dig out those nuggets, mine Bible Meaning. The Bible might be much more relevant than you might think. יָצַק yâtsaq yaw-tsak’; a primitive root; properly, to pour out (transitive or intransitive); by implication, to melt or cast as metal; by extension, to place firmly, to stiffen or grow hard: KJV – cast, cleave fast, be (as) firm, grow, be hard, lay out, molten, overflow, pour (out), run out, set down, stedfast. In this molten sky-shaping process, the minute particles, the ‘small dust’, adhere and cling to one another. ‘An evil disease, say they, cleaves fast (3332) unto him: and now that he lies he shall rise up no more (Ps 41:8). (Focus on the meaning of the vocabulary , ‘cleave fast.’ These verses obviously have meaning in their context but we do not want to digress but rather focus on ‘molten’ and its story). Remember, the 7th key to mastering Biblical Hebrew is: KJV word translations, all together, tell a story and give the full meaning of a Biblical Hebrew word. It’s that story of ‘molten / cast bronze’ that I’m narrating here. The ‘cast bronze’ or ‘molten’ mirror refers, indeed, to casting or molding metal (the elements). ‘And you shalt cast (3332) four rings of gold for it, and put them in the four corners thereof; and two rings shall be in the one side of it, and two rings in the other side of it (Exodus 25:12). With time this seething molten mixture slowly cools down and the mass becomes rigid. ‘When the dust growth (3332) into hardness, and the clods cleave fast together? (book of Job 38:38). Voila—our holographic show reveals the end result of this process of the dust particles cleaving together and being molded into a solid and stable orb. ‘His heart is as firm (3332) as a stone; yea, as hard (3332) as a piece of the nether millstone (book of Job 41:24). In this single verse in the book of Job 37:18 we have not just one, but two synonyms (strong, molten) that illustrate the remarkable method used by God to form the astral bodies…that is now described exactly the same way by science. And this brings us to the most enigmatic phrase in this verse: looking glass (KJV) and mirror (NIV). This is: רְאִי H7200. It’s time you use UnlockBibleMeaning.com and do some study. Look up Job 37.18, switch to Strong’s concordance, click on H7209 and then its root H7200. You will learn that it is one of the most fundamental senses humankind possesses: to see–possibly the most important sensory mechanism for learning. Strong’s definition for the onetime usage H7209 is rather laconic: The word mirror and the literal meaning ‘as seen.’ ‘As seen’ is the particular grammatical structure of the root verb ‘to see.’ Let’s stay basic here and render this looking glass with its bare bones meaning as seen and ‘see’ what happens. With what I’ve explained let’s bring deeper meaning to the question asked in Job 37.18. This question is still valid, it’s intended to make us meditate. Have you with him (God) spread out the sky (7834), which is strong (2389), and as a molten (3332) looking glass? Were you with God when He stretched out those fine powdery, impalpable, invisible dust particles from Big Bang which violently caught, fastened and via seething heat cleaved to each other forming hard celestial bodies AS SEEN. Galacti says, ‘Wow. Just look up at the sky and see with your own eyes. Something to ponder’. Visible then, visible now. This is the Origin of the Universe. Were you there? What does Einstein, Hawking, science, education, leadership, philosophy, religion or you and I really know about it? What is our role in it today? We shall close this chapter (and this planetarium show) with two final verses in the book of Job. I hesitated to use them in this context for the simple reason that they could have a double meaning… or that I might be trying to read something into them that isn’t fully there. I finally decided to include them because they add another aspect to this exciting subject. The whole of chapter 38 of the book of Job is a forthright reply by God as to Job’s and all human petitesse, triflingness and insignificance. God asks Job very fundamental questions (which we should consider from time to time): Where were you when I laid the foundation of the earth? Who set the bounds of the sea? Who commands the morning? Who knows the treasures of the snow and hail? How is the east wind scattered? When we reach verse 31 the interrogations point to astronomical phenomenon: Can you bind Pleiades? Can you loose the cords of Orion? Can you bring forth the constellations in their seasons or lead out the Bear with its cubs? Do you know the laws of the heavens? Can you set up God’s dominion over the earth? We hear these questions voiced by God. The subject matter inquiry then turns to meteorology: Can you raise your voice to the clouds? Do you send the lightening bolts on their way? Verse 36 specifically deals with the nature of man: Who endowed the heart with wisdom? or gave understanding to the mind? After these thought provoking inquiries, we are presented with the two verses that pertain to our subject of the formation and expansion of the universe. 38 When the dust (6083) grows (3332) into hardness (4165), and the clods (7263) cleave fast together (7962)? As you can readily see, the first impression is that these verses backtrack to meteorology and its effect on parched land (the water cycle). This might well be the case, but a closer look reveals other possibilities. H6080. עָפַר ʻâphar aw-far’; a primitive root; meaning either to be gray or perhaps rather to pulverize; used only as denominative from H6083 (עָפָר), to be dust: KJV – cast (dust). We have here a further reference to ‘powder’: ‘And he brought out the grove from the house of the LORD, without Jerusalem, unto the brook Kidron, and burned it at the brook Kidron, and stamped it small to powder (6083), and cast the powder (6083) thereof upon the graves of the children of the people (2 King 23:6). Powder: the tiniest, most fundamental building blocks of matter. This same word also embraces the concept of ‘scattering’ and casting as perceived in its root Strong’s number 6080 above. The ‘Bang’ in the Big Bang is the impetus for the dispersal, the scattering of the initial elementary particles. There is the unique usage of this word עָפַר H6080 in 2 Sam 16:13 (KJV): ‘And as David and his men went by the way, Shimei went along on the hill’s side over against him, and cursed as he went, and threw stones at him, and cast (6080 unique usage) dust (6083). In other words, very fine particles are dispersed. What happens to them? In the previous context (beginning of this post) we saw that growth (3332) refers to the dust cleaving together and firming up. Here we witness the same process of growth into hardness (4165). מוּצָק mûwtsâq moo-tsawk’; from H5694 (עָגִיל); properly, fusion, i.e. literally, a casting (of metal); figuratively, a mass (of clay): KJV – casting, hardness. H4166. מוּצָקָה mûwtsâqâh moo-tsaw-kaw’; or מֻצָקָה; from H3332 (יָצַק); properly, something poured out, i.e. a casting (of metal); by implication, a tube (as cast): KJV – when it was cast, pipe. Again the notion of ‘fusion’ is apparent. 1 King 7:37 reveals the concept of molten metal cooling into a molded solid form, ‘After this manner he made the ten bases: all of them had one casting (4165), one measure, and one size’. The next highlighted word ‘clods’ similarly conveys the message of small entities constituting larger ones. The word is Strong’s number H7263 רֶגֶב regeb reh’-gheb; from an unused root meaning to pile together; a lump of clay: KJV – clod. As I mentioned, this probably refers to the formation of lumps of clay due to a lack of rain. We are applying the concept to the formation of celestial bodies because of the reference to ‘molten’ and ‘fusion’ as well as overtones of the final part of book of Job 38:38, cleave fast together (1692). דָּבַק dâbaq daw-bak’; a primitive root; properly, to impinge, i.e. cling or adhere; figuratively, to catch by pursuit: KJV – abide fast, cleave (fast together), follow close (hard after), be joined (together), keep (fast), overtake, pursue hard, stick, take. Notice the concept of ‘catching, adhering and joining’. Judges 20:45 (KJV) indicates the principle of particles pursuing other particles: ‘And they turned and fled toward the wilderness to the rock of Rimmon: and they gleaned of them in the highways five thousand men; and pursued (1692) hard after them to Gidom, and slew two thousand men of them’. Once having ‘caught up’, the specks join together: ‘And one wing of the other cherub was five cubits, reaching to the wall of the house: and the other wing was five cubits also, joining (1692) to the wing of the other cherub’ (2 Chronicles 3:12 KJV). A well-known verse referring to marriage reveals how two become one, and we remember this message of ‘joining’: ‘Therefore shall a man leave his father and his mother, and shall cleave (1692) unto his wife: and they shall be one flesh’ (Gen 2:24). Three chapters further on in the book of Job 41:15-17, God refers to a particularly ferocious animal called Leviathan (possibly, from the description, some sort of a crocodile). His depiction of the scaly hide is impressive ‘His scales are his pride, shut up together as with a close seal. One is so near to another, that no air can come between them. They are joined (1692) one to another, they stick together, that they cannot be sundered’. This is the mechanism when atoms and molecules fuse to form larger bodies and more stable matter. Remember COBE, WMAP and Planck satellite missions to take panoramic photographs of this fossil echo in Inventory of the Universe Chapter 1, proof that there are clumps of spatial matter that have been caught and pulled by gravity to adhere into gaseous clusters–they stick together, they cannot be sundered–what an amazing description of atoms, molecules and the formation of the elements in the periodic table. Considering this verse as an indication of the formation of astral bodies next week we’ll see its astonishing relation to its previous verse, Job 38:37. 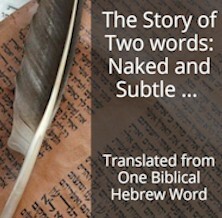 In this post there are references to Job-one-time-usage Biblical Hebrew words. Use the Bible tools at UnlockBibleMeaning.com to verify not only that they are a one-time-usage but think about their uniqueness in light of Big Bang–a unique phenomenon–that started off time and space and lead to you and me. Including the ability to read and study such phenomena. KJV – abide fast, cleave (fast together), follow close (hard after), be joined (together), keep (fast), overtake, pursue hard, stick, take. Continue that story. Notice the other KJV translations (abide fast, follow close, overtake…). Look at the verses in which these words are found and add further details to the story of the word ‘dabaq.’ Even from the English you can see they give nuances of what took place during the formation of the Universe.